Save the Children has been working in Lebanon since 1953 and transitioned to Save the Children International in 2012. For more than six decades, Save the Children has used rights-based approaches to increase access for children, adolescents and youths to quality education, and to strengthen child participation and protection at the family, school and community levels. Save the Children empowers civil society in Lebanon in times of peace and conflict to respond to the needs of all children. Lebanon hosts the highest number of Syrian refugees of any country in the world relative to its population (4.3 million), with almost 1.1 million Syrian refugees registered, plus an additional estimated 400,000 unregistered. Some 53% of registered refugees are children and more than 200,000 of them are less than four years old. In 2013, the Lebanon Country programme scaled up dramatically in response to the Syria crisis. Save the Children expanded its area of operation and started delivering an integrated response. 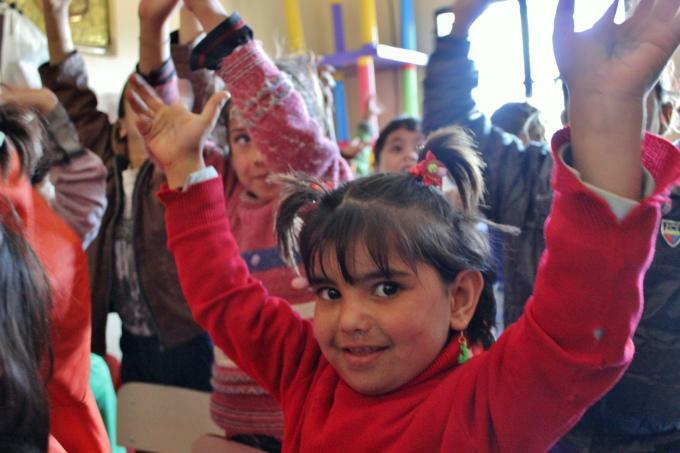 Together with UN agencies and other INGOs, we work with government departments, including education and social affairs to help support Lebanon's institutions and enable them to better assist the refugee populations and host communities alike. In 2017, Save the Children reached more than 265.000 people directly, including 102,150 children through Shelter, Education, Child Protection, Food Security and Livelihood, and Child Rights Governance programmes. Save the Children also implements multiple social cohesion and community support initiatives to strengthen intercommunity relations. In Lebanon, we also work in partnership with non-governmental organisations and community groups to achieve our objectives. Our collaborations aim at promoting mutual learning and enhancing our partners' capabilities in becoming independent and sustainable monitors and promoters of child rights.